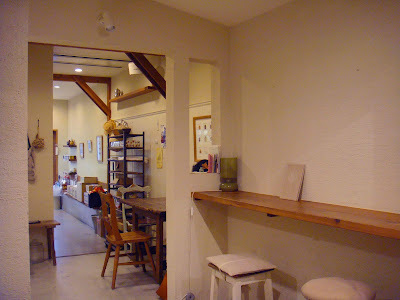 There is a very small cafe in Kyodo, which can only fit a few customers. We went there yesterday in the cold & heavy rain, but it was worth it. 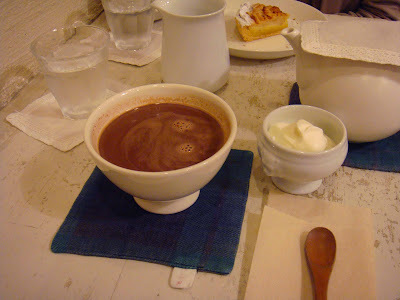 The chocolate drinks using Valrhona ( a famous chocolate brand from France ) that I had made the day brighter. And the apple tart with the Uva tea that my wife had were great too. Although all the sizes of the food were really small ( especially for most Malaysian who prefer volume than quality that I assume ), we thought they are perfect. 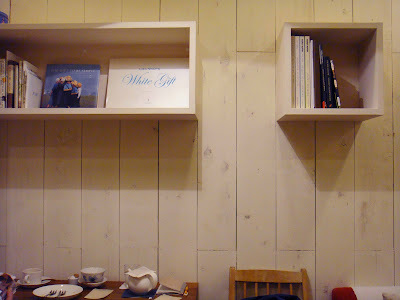 Furthermore, we liked the design of the cafe too. It was calm and clean. The texture on the wall, the wooden parts, the various type of chairs to be chosen, they all helped to create a very homelike atmosphere. It was very comfortable. 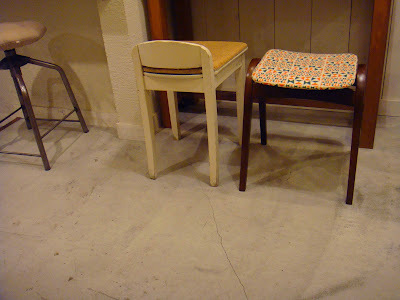 However, my wife had a complaint about the table that we were sitting. She said it was too small for a lady because it was hard to put her both legs under the table due to the small space between the table legs. We had some arguments about furniture sizes, but I thought she has a point too.